4. Cuzco-Lake Titicaca: La Raya, Peru. 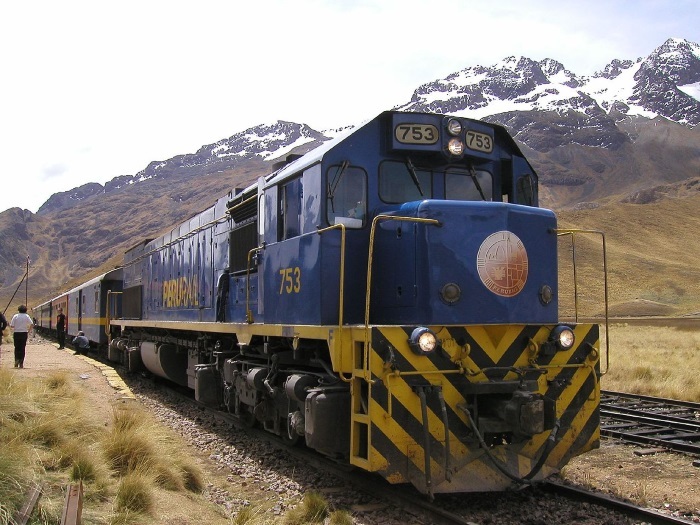 Owned and operated by PeruRail, this line runs through some spectacular Andean scenery, starting by the coast and meandering north-east to the highest lake in the world, Lake Titicaca, the line then continues north, but swings eastward, travelling to beautiful Cuzco, from where wonderful Macchu Picchu is a mere eighty kilometres.